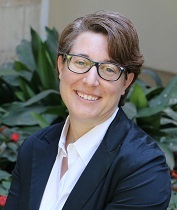 Melissa Rosenzweig is an anthropological archaeologist specializing in environmental archaeology of the ancient Near East. Her research incorporates regional specialization in northern Mesopotamia and the Levant, methodological expertise in archaeobotany, and theoretical specialization in human-environment interactions. Through her research on the ancient Mesopotamian empire of Neo-Assyria (ca. 900 – 600 BCE), one of the world’s earliest and largest imperial projects, she brings a focus on relationships of power and inequality embedded in agrarian lifeways. Political ecology informs her archaeological analysis of the ways in which agricultural practices shape political subjectivities, foment imperial ideologies, underwrite colonial acts, and facilitate subaltern resistance. She received her Ph.D in Anthropology from the University of Chicago in 2014. She was an NEH fellow at the Albright Institute of Archaeological Research for 2014-15. From 2015 to 2018 she was an Assistant Professor of Archaeology in the Departments of Anthropology and Classics at Miami University in Ohio. Her research has been funded by the National Science Foundation, the American Research Institute in Turkey, the American Schools of Oriental Research, the National Geographic Society, and the National Endowment for the Humanities. Her current fieldwork projects take place in Israel and Iraqi Kurdistan. Her current book project, Under Assyria’s Green Thumb, is a multi-sited comparative study of cultivation practices at Neo-Assyrian settlements distributed throughout the empire. Working from the position that land use practices always have political inflections, she analyzes macrobotanical remains recovered from several Neo-Assyrian sites for signs of imperial agrarian investment, environmental destruction or abandonment, and subject autonomy to discern the myriad entanglements of empire and agriculture. Her teaching includes courses on Archaeological Theory and Method, Archaeology of Power, Old World Archaeology, Political Ecology, Environmental Justice and Environmental Anthropology. In Press Rosenzweig, Melissa S. and John M. Marston “Archaeologies of Empire and Environment.” Journal of Anthropological Archaeology. 2017 Rosenzweig, Melissa S. “Assessing the Politics of Neo-Assyrian Agriculture.” Special Issue: Uneven Terrain: Archaeologies of Political Ecology. Archeological Papers of the American Anthropological Association 29: 30-50. 2016 Rosenzweig, Melissa S. “Cultivating Subjects in the Neo-Assyrian Empire.” Journal of Social Archaeology 16(3): 307-334. 2016 Rosenzweig, Melissa S. “‘Ordering the Chaotic Periphery’: The Environmental Impact of the Neo-Assyrian Empire on Its Provinces.” In The Provincial Archaeology of the Assyrian Empire. Edited by J. MacGinnis et al. Oxford: Oxbow Press. Pp. 49-58. 2016 Greenfield, Tina L. and Melissa S. Rosenzweig “Assyrian Provincial Life: A Comparison of Botanical and Faunal Remains from Tushan (Ziyaret Tepe), Southeastern Turkey. In Proceedings of the 9th International Congress on the Archaeology of the Ancient Near East, Volume 2. Edited by R.A. Stucky et al. Wiesbaden: Harrassowitz Verlag. Pp. 305-321. 2013 Rosenzweig, Melissa S. and Laurent Dissard “Common Ground: Archaeological Practice and Local Communities in Southeastern Turkey.” Near Eastern Archaeology 76(3): 150-156.